By publishing A Review of Fifty Public University Honors Programs, we hope to reach students, parents, and counselors who want and need more detailed information about the leading public honors programs in the country. For students, we not only show stats about graduation rates, curriculum, and prestigious undergraduate and postgraduate scholarships, but we also discuss the academic strengths of each university and important information about honors housing and other honors benefits, such as priority registration. 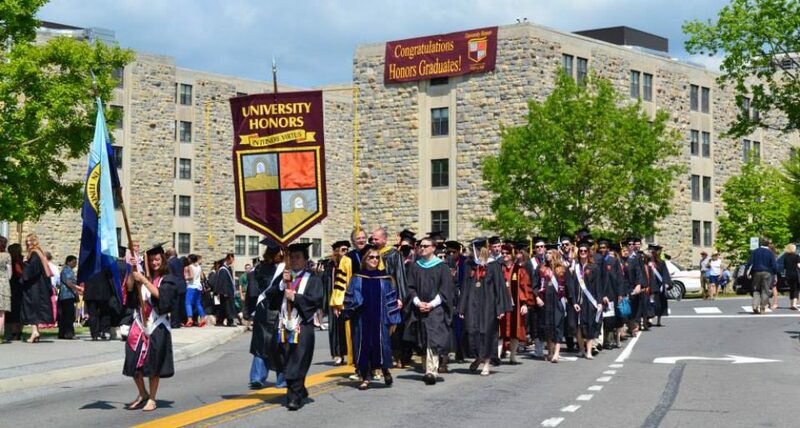 We also enable parents, who are understandably very concerned about cost and value, to consider our Excellence Impact data, which show the extent to which the honors program in a given university enhances the value of the university as a whole. Another term for this data is “value-added impact.” It is a fact that many universities that do not rank highly in major national surveys also have some of the best honors colleges and programs in the country. Parents need to have some way of assessing the profound impact that honors education can have. School counselors have the enormous responsibility of advising students and parents on the suitability of a university, based on matching test scores and academic records with the admission requirements of prospective colleges. The Review, therefore, places each of the fifty programs in a category that fits SAT/ACT and GPA requirements. The Review also has a separate listing of programs that are within universities with a strong focus on engineering, business, and agriculture. Most of these programs are relatively new to honors education, so our information should be even more helpful to counselors trying to understand the sometimes confusing world of honors education. This entry was posted in National Rankings, Stats and Surveys and tagged public university press, SAT scores honors programs, school counselors and honors programs, school counselors honors admission requirements, Value-added Honors Programs by Honorsadmin. Bookmark the permalink.